Jordan Peterson has publicly responded to the Cambridge Faculty of Divinity’s decision to rescind its initial offer of a visiting fellowship, and called for Cambridge to provide information on how it came to its decision to disinvite him. Writing on his personal blog, Peterson called the decision “deeply unfortunate”, adding that “I think the Faculty of Divinity made a serious error of judgement in rescinding their offer to me”. He also claimed that “the fellowship offer was a consequence of mutual discussion” between himself and members of the faculty last year. Peterson announced his offer on his YouTube channel on Monday, stating that he would be joining the University for two months in October 2019. Yesterday afternoon the Divinity Faculty (@CamDivinity) tweeted that: “Jordan Peterson requested a visiting fellowship at the Faculty of Divinity, and an initial offer has been rescinded after a further review.” This was its first, and only, public statement on the matter, despite calls for further transparency from staff and students. 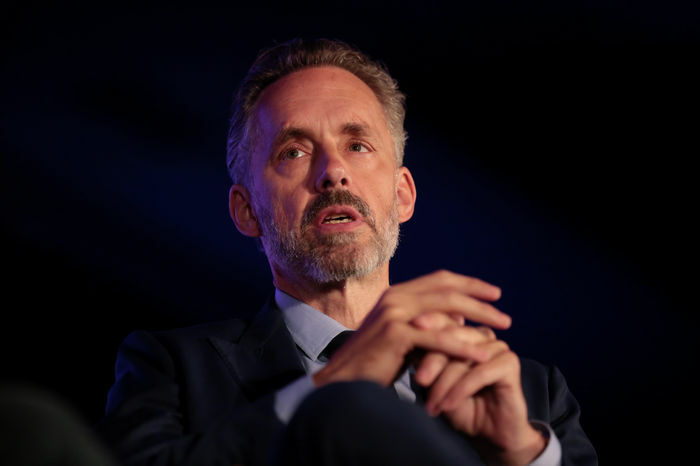 Cambridge University and the Divinity Faculty have both been criticised for the vague wording of their statements and failing to take responsibility for the decision to make an offer in the first place, with some saying this has made critics of Peterson more vulnerable to online abuse. The University has not yet explained when the decision was made to rescind the fellowship, or why. Several Cambridge students and academics criticising his appointment have received online abuse from supporters of Peterson. Peterson, a psychology professor at the University of Toronto, rose to prominence in 2016 through his opposition to an anti-discrimination bill, which made it illegal to discriminate of the basis of gender identity under the Canadian Human Rights Act. Since then, he has become an intellectual poster boy for the alt-right, and has been criticised for sexist, racist and transphobic statements, as well as questioning the scientific consensus on human-induced climate change. The news of Peterson’s disinvitation was widely covered by national outlets, including articles in The Guardian, The Independent, Daily Mail, The Times, and The Telegraph. In his blog post, Peterson blamed the decision on the Divinity Faculty submitting to an “ill-informed, ignorant and ideologically-addled mob”, and implied that he thought pressure from CUSU had played a part in the decision to withdraw the offer. CUSU said publicly that it was aware of the situation two hours before the University issued a statement that the offer had been rescinded, and there is no evidence that Cambridge’s decision was made as a result of external pressure, such as that from CUSU sabbatical officers. Peterson further claimed that he was not formally notified of the decision to rescind the offer, but instead heard about it through “a colleague and friend”, in addition to the subsequent social media and press coverage. Peterson was particularly critical of the fact that the Divinity Faculty chose to make this rejection public via Twitter, having not similarly publicised the offer. He further emphasised his dissatisfaction with Cambridge University’s framing of the rejection, insisting that “the fellowship offer was a consequence of mutual discussion” which took place during his visit to Cambridge last November. During this visit he gave a controversial talk at the Cambridge Union, which was interrupted briefly by one student’s satirical protest. Peterson cited the high turnout to this talk as evidence that “a number of Cambridge students are very interested in what I have to say”.